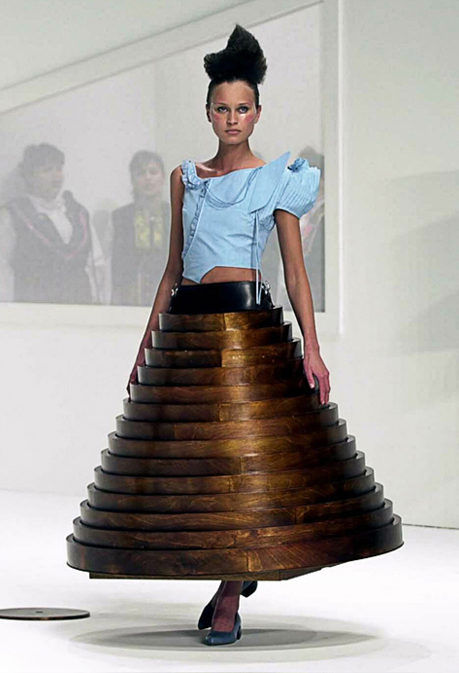 Hussein Chalayan realised a set of portable furniture, including a coffee table that transforms into a wooden skirt, 4 chairs cases that transform into dresses or fold into travel suitcases. He presented the project as a living room set on the catwalk stage. 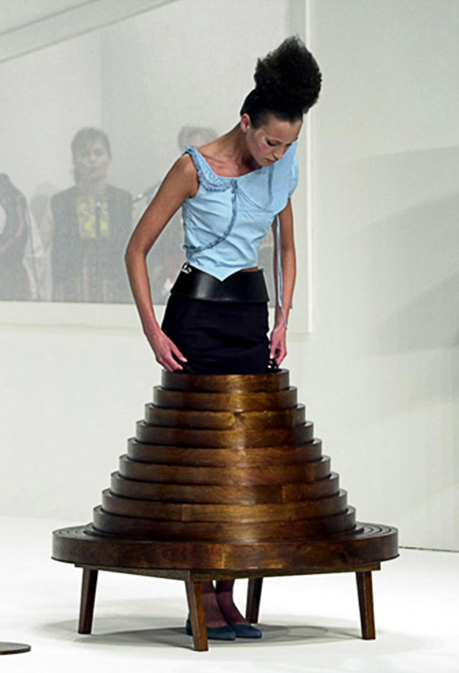 Furniture turned into dresses and suitcases, so the models could leave their stages with their portable objects. It was inspired by the designer's thinking on the wartime impermanence that finds homes raided and families forced to flee or be killed. The furniture is portable and wearable.